Home › Campaigns to Dismantle Corporate Power › What’s public about the Public Investment Corporation? What’s public about the Public Investment Corporation? The Public Investment Corporation (PIC) is a behemoth in the South African economy. It is the single largest investor in the JSE. It has controlling stakes in several of its listed companies. It is the largest asset manager on the continent with almost R2 trillion in assets under management. It straddles virtually every sector of the economy with investments in equities, bonds, cash and property. It employs about 350 staff and is a powerhouse of monumental proportions in the country. Yet, despite the occasional outcry in the mainstream media about perceived corrupt deals, the PIC has remained shrouded in secrecy. It steadfastly refuses research access to its transactions on the grounds that it would imply harmful exposure to a third party. The PIC website boldly claims that “…the PIC is accountable to the millions of South Africans on whose behalf we invest.” In reality it is not accountable at all. There is a lack of transparency rather than openness. It is high time that the PIC is exposed to the light of public scrutiny on what its role is and what it ought to be, in the context of the enormous development challenges facing the country. Today, the PIC operates like any other privately-owned asset management firm. But it is owned by the state, represented by the Minister of Finance as the sole shareholder. Its main role is to act as the asset manager for the Government Employees Pension Fund (GEPF) which contributes almost 90% of its assets under management. The corporatisation of the PIC in 2005 was the culmination of a long history of involvement with public funds. Established in 1911, as the Public Debt Commissioners, the PIC has mutated from a virtually insignificant body charged with the responsibility of managing some government money, into a huge company with substantial financial muscle. It is precisely because of this massive accumulation of capital, much of it stemming from tax payers, that it is urgently necessarily to examine its role. There are three broad periods in the history of the PIC. (i) Public Debt Commissioners (1911-1984): this body was established with a mandate to control monies on behalf of the state sector. (ii) Public Investment Commissioners (1984–2004): commissioners were appointed with the power to invest funds on behalf of public bodies. its budgetary allocation was determined by the government on the basis of its calculations of the PIC’s expected requirements. (iii) The Public Investment Corporation (2004 – present). The corporatisation of the PIC, represented a major shift. The founding piece of legislation, the Public Investment Corporation Act (No. 23 of 2004) explicitly states that “there is hereby established a juristic person, an institution outside the public service, to be known as the Public Investment Corporation Limited” (emphasis added). 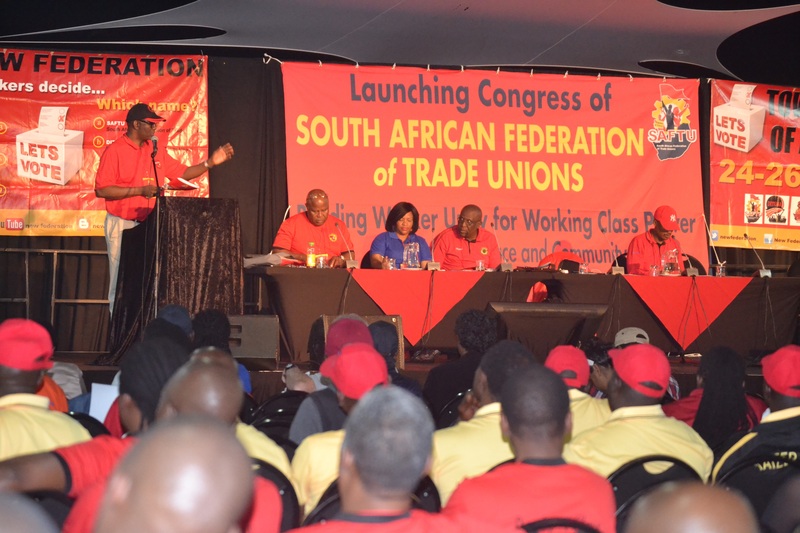 This law was enacted in the teeth of opposition from the Congress of South African Trade Unions (COSATU) and other organs of civil society. This revealed major schisms over development policy options in South Africa. There were differences especially in relation to how the social goals of equity and poverty eradication should be tackled and how the newly established corporation should relate to the state. • The transition towards a fully-funded pension scheme for public sector employees. Cosatu’s concern for public scrutiny over the management of pension funds was completely ignored. Instead, the PIC has an entirely free hand in the kinds of investments it makes, and there is no evidence at all that these investments are developmentally orientated. • In the first instance, the PIC is obviously accountable to its shareholder, the government. • Yet, almost 90 per cent of its funds derive from the GEPF, and the PIC also has to act in the interests of the pensioners, the ultimate “owners” of the fund. What’s the link between government debt and the PIC? The Public Investment Corporation (PIC) and the issue of our growing national debt have been portrayed in the public domain as unrelated. What’s the link? And how are we to stem the dramatic increase in the ratio of government debt to GDP (a measure of the amount a country borrows compared to the amount it produces)? It has grown from about 28% in 2008 to more than 53% in 2017. In the late 1990’s the then president of the country Nelson Mandela, made the following comment: “(W)e are limited in South Africa because our democratic government inherited a debt which at the time we were servicing at a rate of 30 billion rand a year. That is thirty billion we did not have to build houses, to make sure our children go the best schools and to ensure that everybody has the dignity of having a job and a decent income”. The Minister of Finance at the time, Trevor Manuel reiterated, “(T)he bulk of our debt is in the domestic debt of ordinary South Africans through the public pension funds”. The PIC is clearly not the only driver of our debt levels in South Africa as they tie into a whole gamut of problems in the economy, not least related to the bloated executive as well as problems of rent–seeking and corruption, especially in the state-owned enterprises. But, it remains a major factor. The link between our debt and the PIC rests with the change in government pensions from a Pay-As-You-Go (PAYG) scheme to a Fully-Funded (FF) scheme. The benefit is usually paid as an annuity (a monthly amount) or some sort of programmed pension withdrawal from individual accounts. Profound changes in pensions and their management have occurred in the Anglo American world over the last half century or so that have shaped these economies. Legislative and policy changes in England and the US have allowed Pension Funds to become the single largest source of saving. This massive growth in the wealth of Pension Funds has variously been described as a Money Flood, Pension Capitalism, a Pension Revolution and so on. While following an entirely different historical trajectory, a similar trend has emerged in SA with an overarching lack of pensioner involvement in the management of pension funds. The assumption underlying the FF system is that there ought to be enough money in the fund to pay all the employees their full pension benefits in the event of the company going bankrupt or closing shop. The government did not have the money for this level of funding and it therefore indebted itself. In so far as the PIC is owned by the state, the government was borrowing and lending from itself. It permitted the PIC to accumulate a huge stockpile of capital at exactly the same time that the government itself became more and more indebted. The link is inescapable. Unlike other indebted governments, the major portion of national debt in South Africa is internal, domestic debt to the pension funds rather than external or foreign debt. There are three interrelated areas that require immediate and urgent national attention. 1. The composition of the board of the PIC has to be transformed so that it may become representative, especially of workers in the state sector. Trade unions on the board is the first step towards greater accountability. 2. The mandate of the PIC should be changed so that it can be directed towards social spending, especially in the area of infrastructural development and job creation. 3. The GEPF should revert to a Pay As You Go pension scheme.